On many occasions since taking office, President Donald Trump has expressed frustration with his choice to head up (and clean up) the Justice Department. That’s because on many occasions Attorney General Jeff Sessions has failed to live up to the president’s (and his supporters’) expectations. While Sessions has been aces when it comes to enforcing immigration law, he’s actually been an impediment regarding congressional efforts to get to the bottom of “Spygate” and the entire “Trump-Russian collusion” hoax. How? He’s not pressured his underlings to comply with congressional subpoenas and demands for information. He’s even defended efforts by FBI and DoJ officials to stonewall Congress’ legitimate oversight authority — which he used to demand himself as a U.S. senator when it was the Obama administration doing the stonewalling. Now, one investigative reporter even suspects that Sessions is intentionally holding off prosecuting a case that would clear his boss and the man who trusted him to rehabilitate Obama’s politicized federal law enforcement agencies. For months, The Daily Caller’s Luke Rosiak has been following a story involving Pakistani information technology contractors and leading Democrats, including Rep. Debbie Wasserman Schultz of Florida. Here it is in a nutshell: A small group of Pakistani citizens led by Imran Awan has allegedly been spying on the U.S. by stealing data from multiple House Democrats while pretending to be IT managers. As a plea deal seems to be imminent, Rosiak has noted that Awan has been hiding assets and that his former business partner claims that data was given to the Pakistanis government by the Awan family, among other claims. Rosiak — in an appearance with Fox Business Network‘s Lou Dobbs — explained it on Wednesday, saying flat-out that he believes Democrats are committing treason, and that Sessions’ case against the Pakistanis is about as open-and-shut as it gets. “There was a second hack that occurred the same week that the DNC was breached. 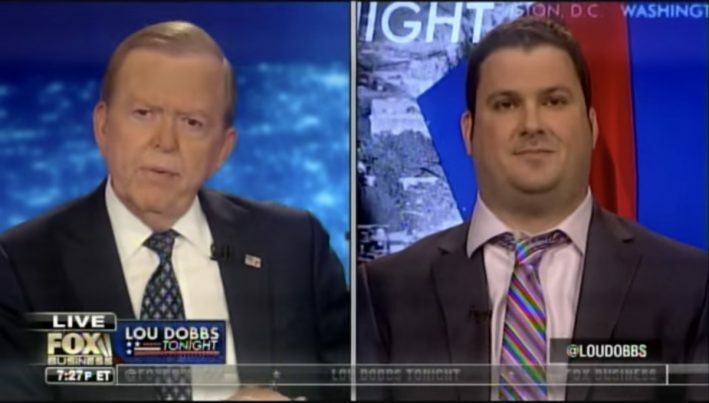 The same week that Wikileaks started putting up those DNC emails the House of Representatives Inspector General briefed authorities that there was this ongoing hack by Pakistanis who the Democrats hired as IT guys,” Rosiak told Dobbs. “Ordinarily, they would have been arrested on the bat obviously but, think about it, that Russian narrative that they just decided to start pitching that very weak, you know how tenuous it is, how backed by nothing it is,” he continued. Rosiak said that evidence of the second hack means that Democrats remained mum about it so that they could stick to their Russian collusion narrative as a means of undermining Trump. Of all the scandals that occurred in the Obama administration, this appears to be the first major one in the Trump era. But it’s not due to anything POTUS did and it’s not an act of commission. It’s an act of omission. Trump appears to understand that. He called on the Justice Department Thursday to reject the plea bargain. Read more about potential Democratic treason at Treason.news.